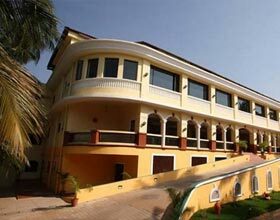 Address: House No 971/1, Flea Market Road, Anjuna, Goa 403509 India. 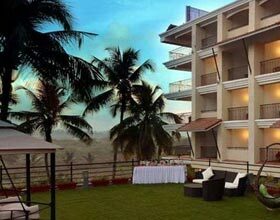 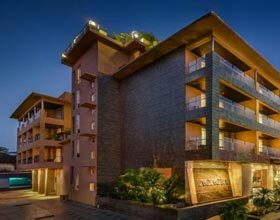 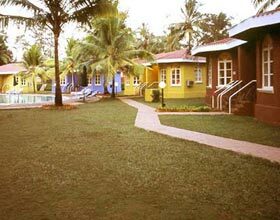 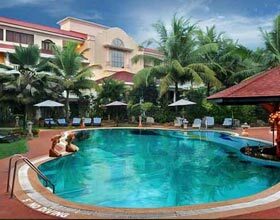 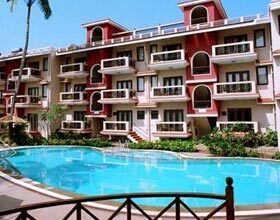 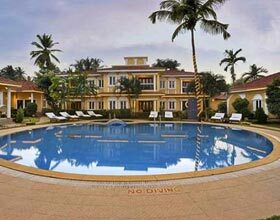 Whispering Woods by the Verda, Goa is nested centrally in the city amidst orchards of coconuts. 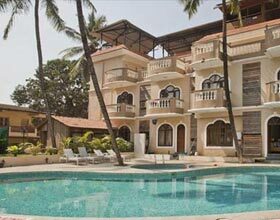 Just 1 km away from popular Anjuna shore of the Arabian Sea, this exquisite villa style The Verda property exalts the charisma of Goan heritage. 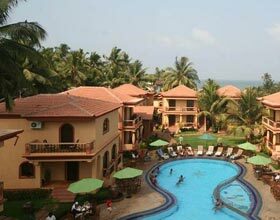 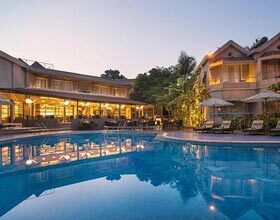 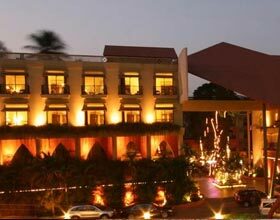 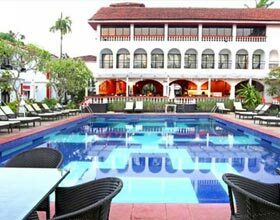 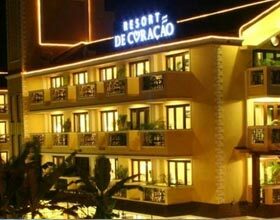 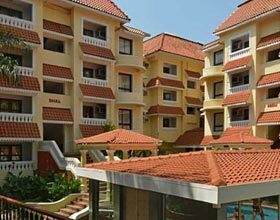 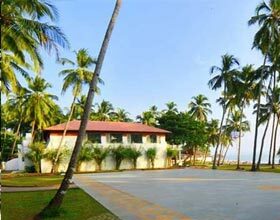 This hotel is ideal for groups or families on vacation in enchanting Goa as each villa have 3 to 5 bedrooms and a well equipped kitchen. 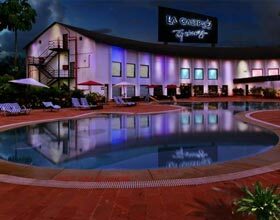 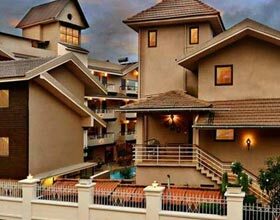 The warm hospitality and dedicated services rendered by staff comforts the guests with an ambience of home. 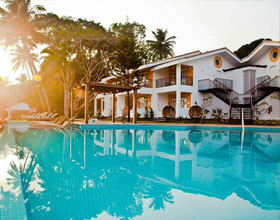 Each villa terrace provides the splendid view of swimming pool and gardens. 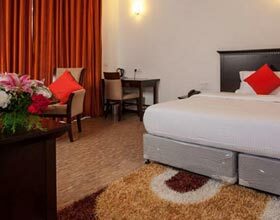 Guests can park the vehicles in the secure parking facility provided within the hotel compound. 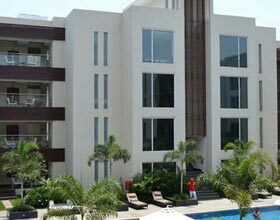 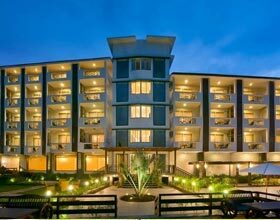 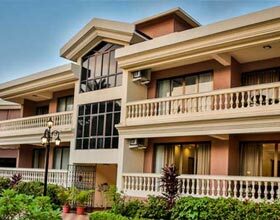 Whispering Woods offers its guests 37 well furnished rooms facilitated with all modern amenities. 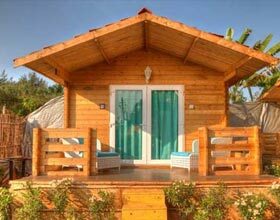 Each villa en suite bedrooms with attached bathing facility, a terrace, and separate power back. 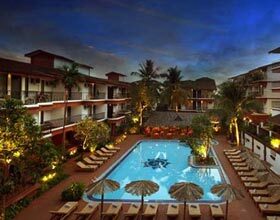 Entire hotel site is covered by high speed wireless internet services. 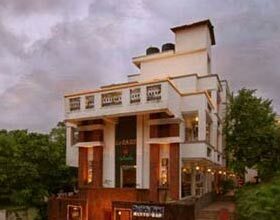 Under the Mango Tree is the only diner available in the premises of Whispering Woods, Goa. 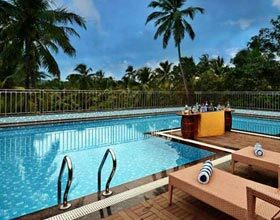 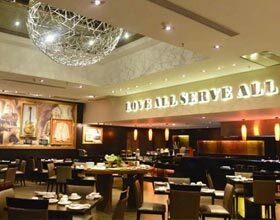 Overlooking the swimming pool, this multi-cuisine café serves delectable delicacies. 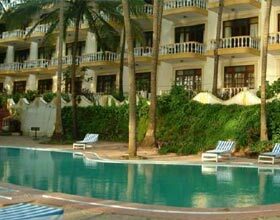 It is located on the shady patio adjoin the pool.